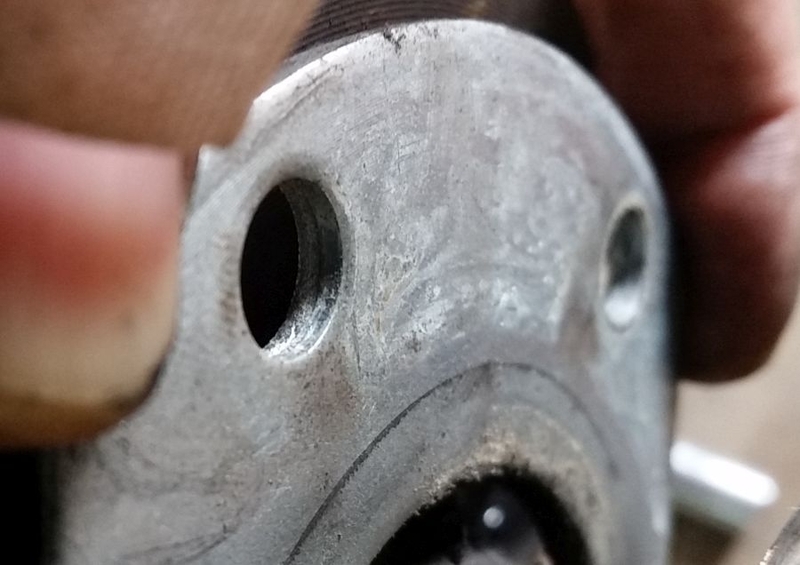 Does your Tri-Glide or Freewheeler's rear end feel exceptionally loose when rocked side to side? Chances or are it does! 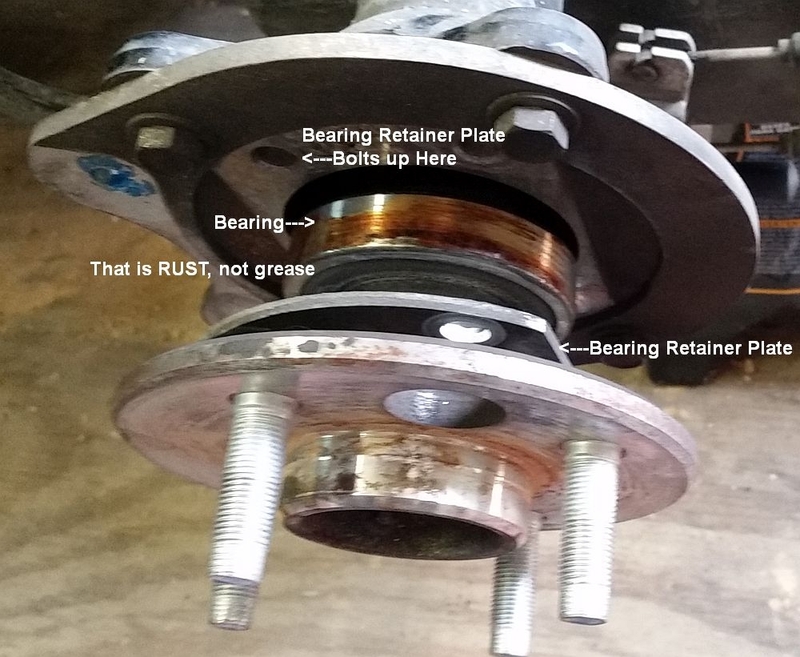 ...The reason for this is because of the very thin bearing retainer plates that are used in the rear end. 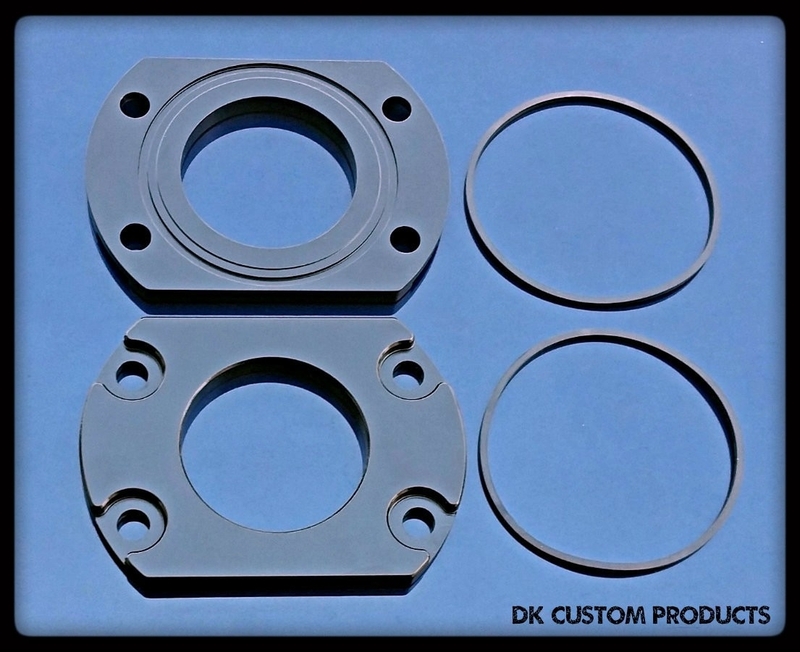 Not only are the OEM retainer plates structurally weak, they also lack adequate capabitlity to seal and protect the bearings from moisture, dirt, and debris. 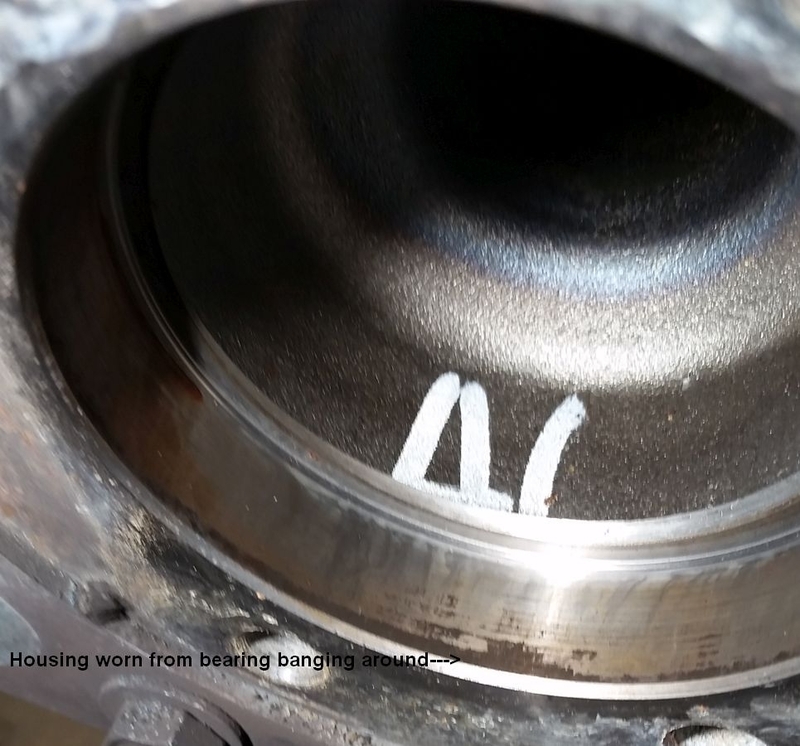 Upon closer examination, you can see the plates have witness marks from all of the movement. Here's a better photo of both plates, where the witness marks are clearly visible. 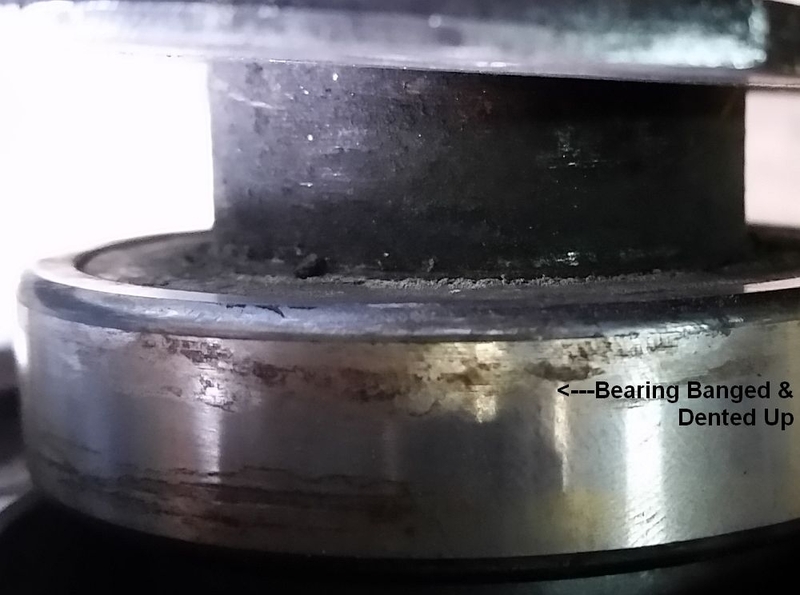 What may be even more disconcerting is how much the outer surface of the bearings can become banged up from all the movement in the axle housing. 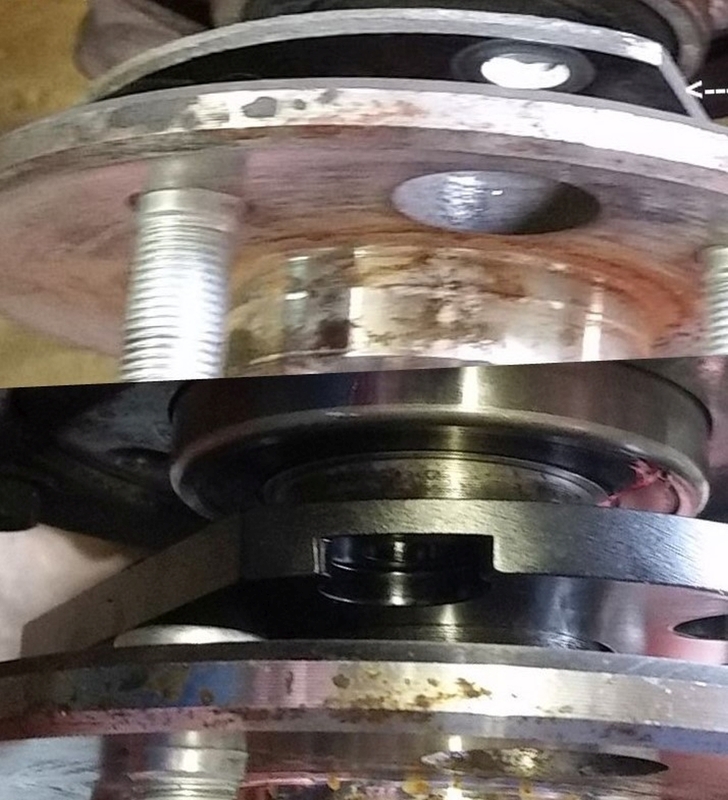 What is supposed to happen is that the bearing fits snugly in the axle housing, and then the bearing retainer plate is supposed to tighten up against the outer bearing surface and hold the bearing immobile in the housing. 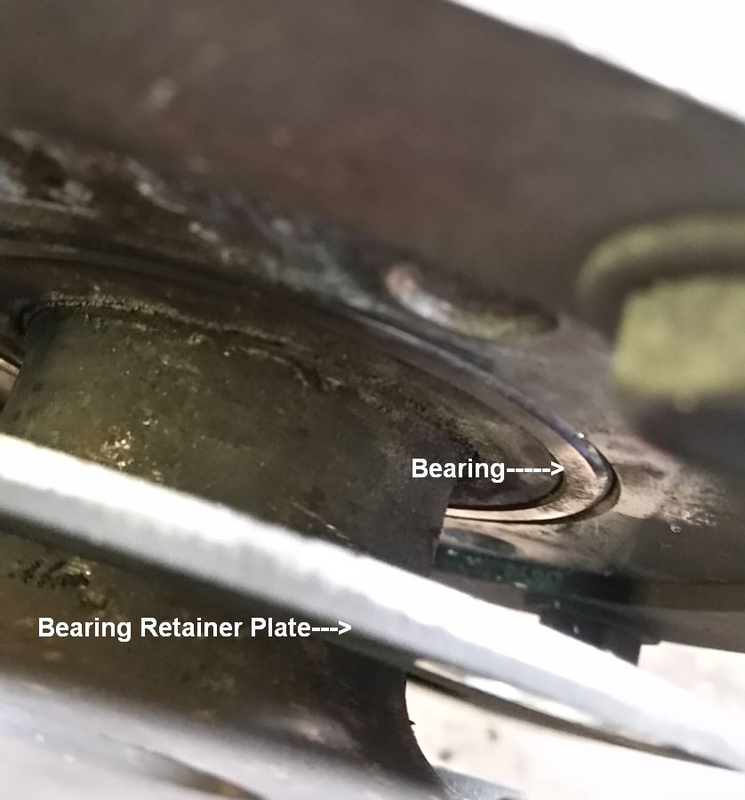 Instead, because of loose HD tolerances, AND because the bearing retainer plate is a stamped material, AND too thin, it loses (or never had) it's completely flat surface. 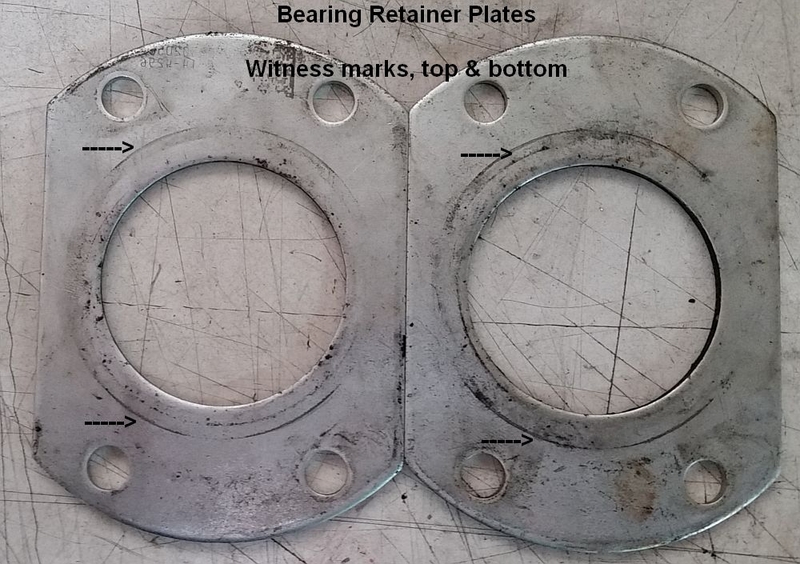 The result is that there is space between the outer bearing surface and the retainer plate. 4. 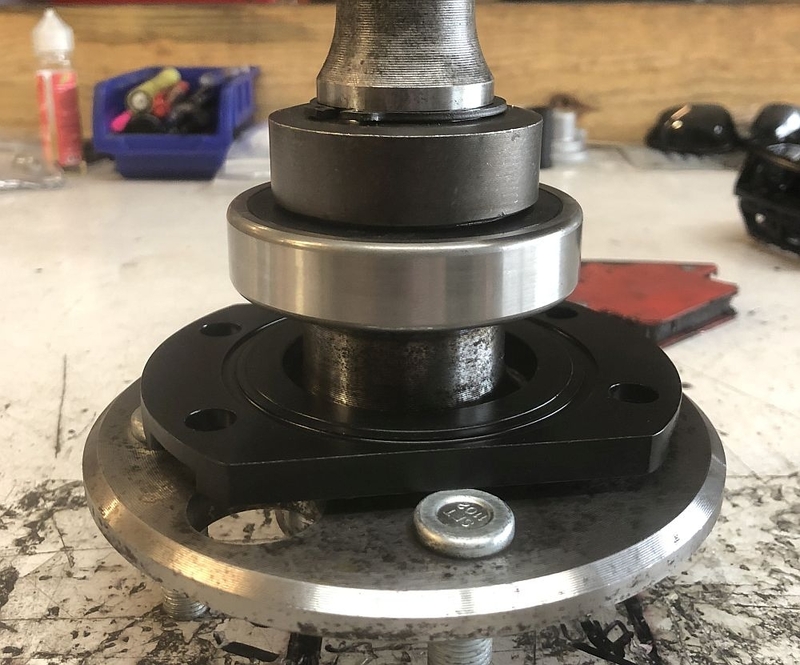 Since the wheel end of the axle has rocking movement, that means the far end of the axle (which sits in the differential) has even more up and down movement. 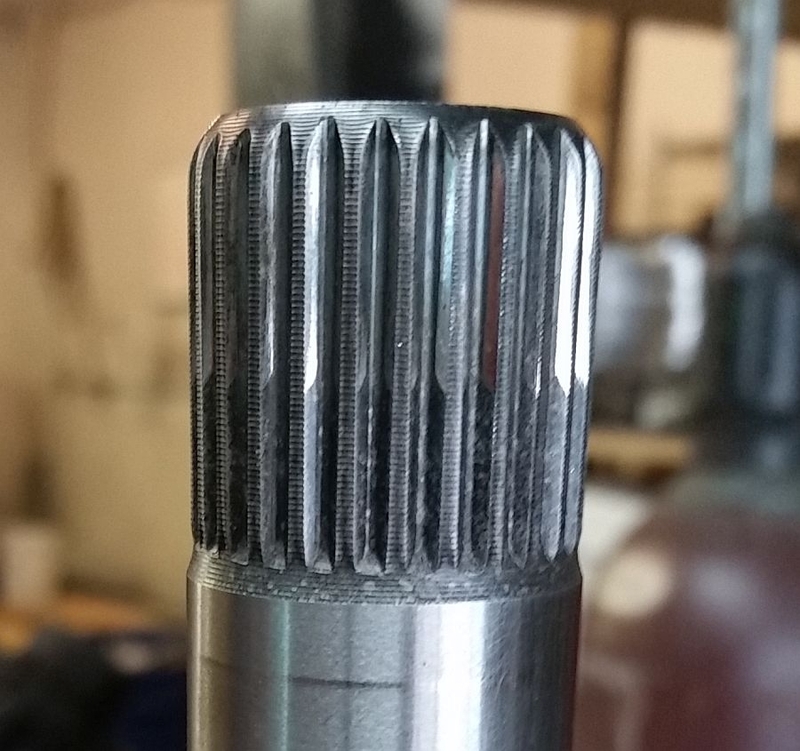 This results in worn splines, or worse! 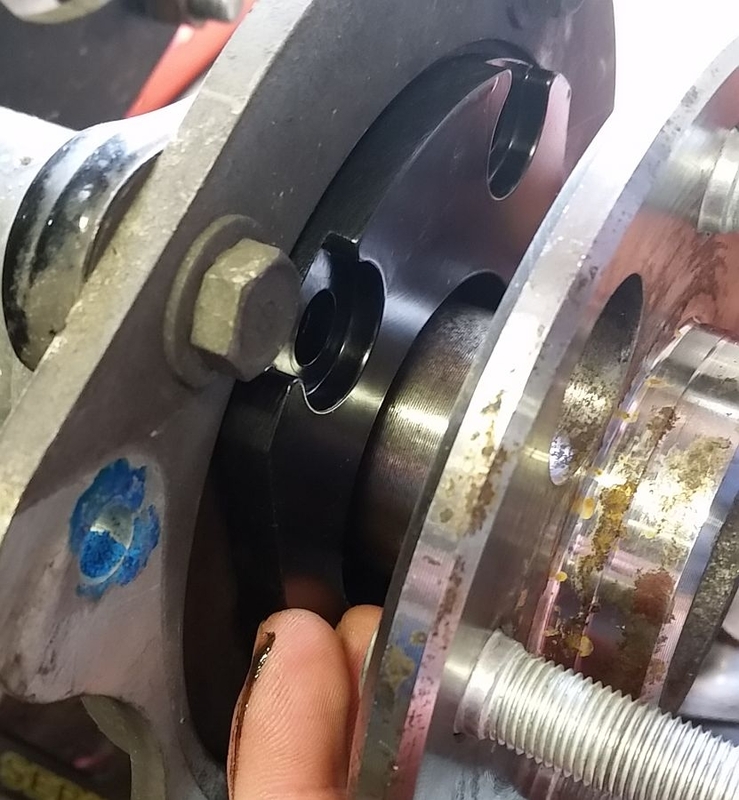 These plates have a 2/100" shoulder that butts up against the bearing. 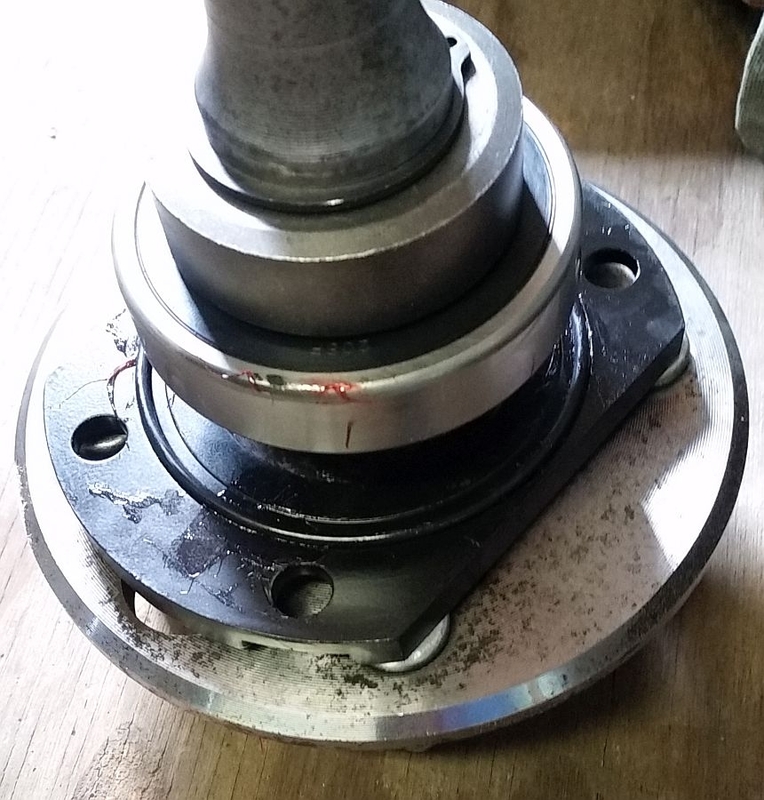 This makes sure that there is NO rocking or movement of the bearing in the axle housing, even if that surface it bolts to is not completely flat (accommodating poor tolerances). 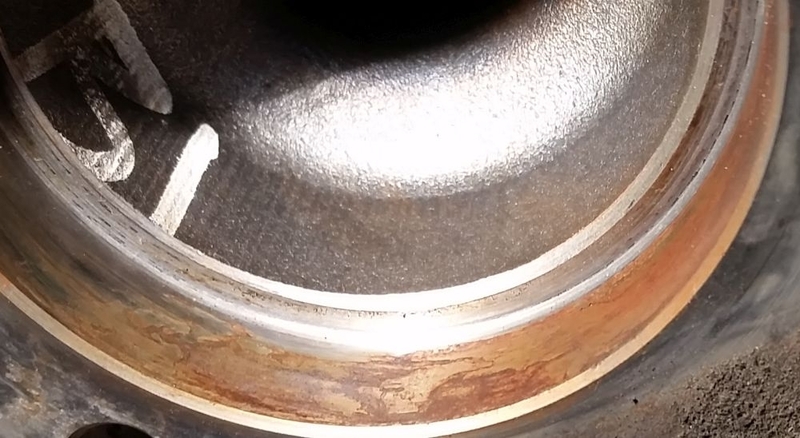 It also has a place for an o-ring, so there is no chance of water getting in there and sitting.